The Homegrown Collective are a group of Bristol based artists, musicians, cooks, food producers, entrepreneurs and facilitators who collaborate to produce magical events celebrating food, relationships and creativity. Samantha is a singer, songwriter and cook. She loves wild swimming, foraging and dancing to RnB. She is the curator and facilitator of Homegrown Supper Clubs, which bring together her passions for food, music and people. Cooking from scratch from a young age, her food is bold, creative and deeply nourishing; something which shines through in every supper club menu. As a singer, she has a growing reputation for her mesmerising live performances. Her debut album 'Gateway' is released this year. Keep an eye on her live tour dates and listen to her music via the links below. Pip is a singer and is studying for a PHD in Environmental Theology specialising in food and farming ethics. Will is a potter and works for Stream Farm. Together they run Cactus, a charity that encourages and equips urban communities in sustainable living. Jubilee Pottery is the work of Will Campbell-Clause of St Werburghs, Bristol. Will was apprenticed by David Thornley in Clifton and has now begun his own venture since moving to St Werburghs. He uses earthenware clays, and a variety of tried and tested glazes, to create a range of useful and beautiful artefacts, all created on-site at Jubilee House and on which your dinner at Homegrown Supper Clubs will be served. Joel is a drummer, bassist, social worker and theology student who loves beer and baking bread. Lou is percussionist, pianist, super-harmoniser, sociology student and young people's housing worker with a gift for hospitality. Multi-instrumentalist, recording artist, musical director, poet and butcher, Jake can often be found performing, cooking and being charming at Homegrown Supper Clubs. Hannah is a trumpet player but you can find her on most other instruments also, including soloing with voice and guitar. She works for the environment agency but is currently off volunteering on organic farms all round Europe. An organic farm in the Somerset Quantock hills, using a shared farming model to focus on rural regeneration and help people learn skills in sustainable farming. Produces chicken, smoked & fresh trout, beef, pork, lamb, apple juice and honey. Delivers for free into Bristol on Wednesdays and has a stall at Whiteladies Road market every Saturday. 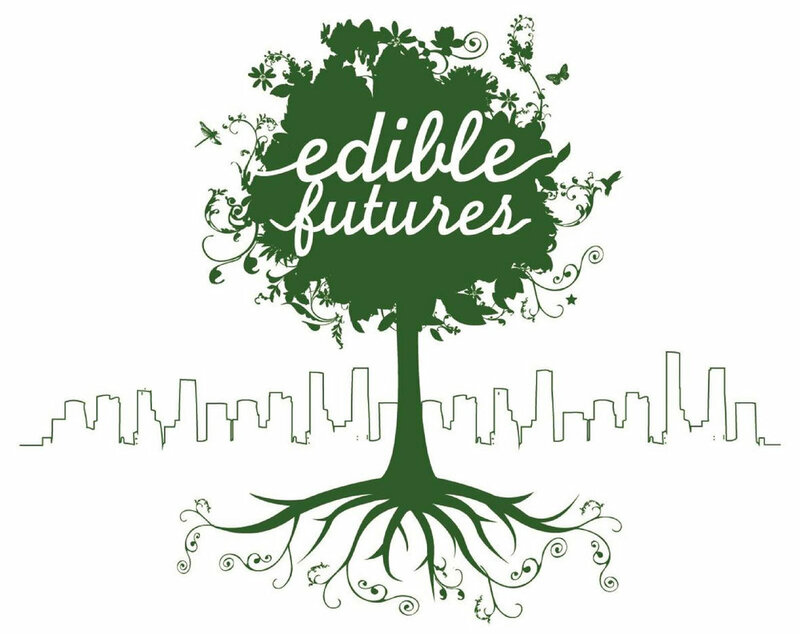 Edible Futures is a Bristol based growing project that is working to create a resilient food system. With community groups and local residents we are planting edible public gardens that will provide food for Bristol communities. There are weekly salad drops around Bristol including at Jubilee House on a Tuesday. Bristol's nearest organic vegetable growers, Leigh Court Farm grows fresh & local organic fruit and vegetables, for veg box delivery and for sale at the Bristol farmers' markets at Whiteladies on a Saturday and St Nicks on a Wednesday.